Lactational amenorrhea method (LAM) is a family planning method (or a natural birth control technique) based on breastfeeding. It can be effective up to six months after childbirth, provided the woman is fully or nearly fully breastfeeding and monthly bleeding has not returned. It has long been observed that breastfeeding delays the return of menstruation in new moms. The lactational amenorrhea method (LAM) is a natural birth control technique based on the fact that lactation (breastmilk production) causes amenorrhea (lack of menstruation). Producing milk is called lactating and not having a period is called amenorrhea, hence this method of birth control is called lactational amenorrhea (or LAM). How Does Lactational Amenorrhea Method Works? Studies have confirmed that women who exclusively breastfeed their baby around-the-clock and who have not started menstruating are very unlikely to get pregnant during the first six months after they give birth. Here is why it works: Breastfeeding interferes with the release of the hormones needed to trigger ovulation. So the more you nurse your baby, the less likely you are to ovulate. If a woman exclusively breastfeeds her baby for six months, the hormones that produce the breast milk will also work to stop the ovaries from releasing an egg (that is, there will be no ovulation) for the first six months after the baby is born. A woman doesn't get her period during this time. 1. You're exclusively breastfeeding your baby, which means that all of your baby's sustenance comes from your breastmilk. You must be nursing your baby on demand, day and night, and waiting no longer than four hours between feedings during the day and six hours between feedings at night. 2. You still haven't gotten your period. Once you start menstruating, it's a clear sign that you've started ovulating again. 3. You gave birth less than six months ago. Although some women don't start menstruating again for many more months, there's no predicting when it will happen. And, since women usually ovulate before they get their period, you can actually get pregnant even before your period starts up again. In fact, this can happen even if you're exclusively breastfeeding, which is why LAM isn't 100 percent effective — but you're much less likely to be fertile during the first six months postpartum. Can LAM be used during pumping and breastfeeding? The answer is No. Your baby's suckling plays an important role in suppressing ovulation, and expressing your milk is not as effective. The more frequently you nurse, and the longer each nursing session, the better. Even one bottle is a missed nursing session. In fact, some experts even suggest not letting your baby use a pacifier if it seems to interfere with his desire to suckle. Women who return to work and are separated from their baby need to use another method of contraception. When is LAM not recommended? 1. AIDS or confirmed HIV+: The HIV virus can be passed through breastmilk. 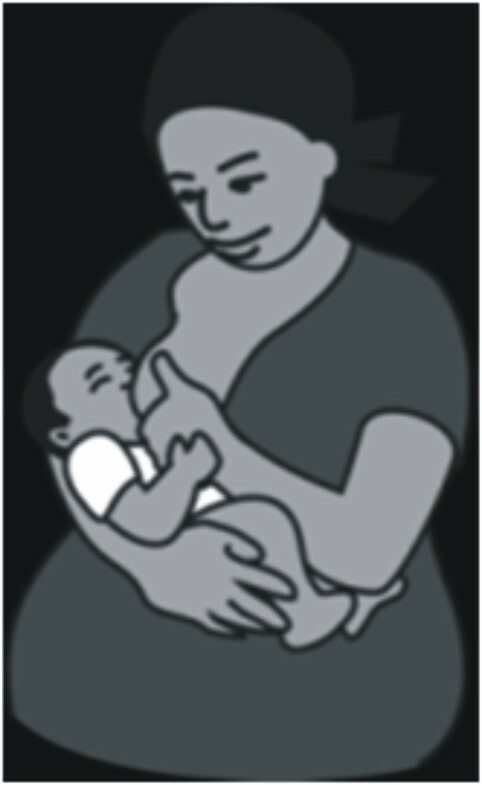 According to the World Health Organization, if a safe alternative to breastfeeding is available and affordable, a woman who is HIV+ or has AIDS should be informed of the risks of breast and bottle feeding. 2. Active tuberculosis: Tuberculosis does not spread through breastmilk but through direct contact with the mother. If the mother has an active case of tuberculosis, breastfeeding increases the risk of infection due to the frequent and intimate contact with the infant. 3. It is difficult to predict if your ovaries are ready to start releasing an egg (ovulating). However, as soon as you have a period, you should use another method of birth control, if you have not already done so. 5. Does not protect against STIs (Sexually Transmitted Infections).